I’m Ed Smith, an Elk Grove Personal Injury Lawyer. Just as the long holiday weekend was getting underway an accident on Highway 99 made it difficult for folks to get out of town. Northbound Highway 99 at Sheldon Road had to be shut down so crews could manage the scene of an Elk Grove RV crash. The accident involved four cars and a truck which was pulling a 5th Wheel. The accident happened on February 12, 2016 at about 3:30 p.m. Apparently, the RV being pulled by a truck somehow overturned. The highway was blocked for over an hour as crews cleaned up the crash site. The cause of the crash is under investigation. Amazingly, no serious injuries were reported. Our office assists those seriously injured in car crashes. 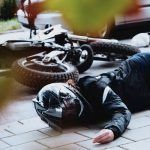 We help with hit-and-run injuries, rear-enders, head on collisions, broadside accidents, pedestrian accidents, motorcycle accidents and/or trucking accidents. We call ourselves the “Personal” Personal Injury Attorneys. Because, we take pride in connecting with our clients throughout their case, no matter how long it takes for the case to resolve. Typically, we meet with you, members of your family and your friends throughout your case. 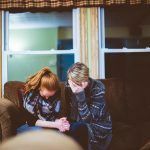 If the injury is a serious one and goes to a trial, it’s important to have people that know you well explain to a jury how you’ve changed after a serious injury. If you’re not comfortable with a high level of personal attention, I’m not likely the lawyer for you. There are many personal injury lawyer’s in town whose style is to be Captain of the Ship with little input or knowledge into their client’s personality. Here is an article I wrote. It is suggesting a plan of action in selecting a personal injury lawyer. Even if you decide not to use my firm, please feel free to know how to proceed in selecting a personal injury attorney that is right for you. Hello. I’m Ed Smith, an Elk Grove Personal Injury Lawyer. 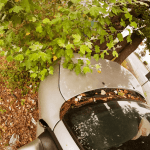 If you or someone dear to you has been seriously injured in an Elk Grove car crash due the negligence of another individual, please call me promptly at (916) 694-0002. Call toll free at (800) 404-5400(916) 921-6400. I’m available now to provide free, friendly advice at no obligation to you. If you do not have experienced personal injury lawyer fighting on your behalf, you may not win a fair settlement. 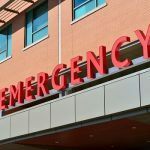 I’ve been helping seriously injured victims in Elk Grove since 1982. I know how to fight the practical battles that can win you the results you deserve. I have successfully represented personal injury clients involved in pedestrian accidents, bicycle accidents, automobile accidents, trucking accidents, motorcycle accidents, and water craft and boating accidents. Take a moment to read our positive client reviews. Click here: Yelp, Avvo and Google. Hire an experienced and friendly personal injury lawyer with a long track record of success. To view our past verdicts and settlements, click here. Visit our comprehensive accident information website: www.autoaccident.com.